Today I’m pleased to announce the publication of the second volume in the Active History ebook series, Confronting Canadian Migration History. This open-access ebook collects some of the best writing on the topics of refugees, immigration, and nativism published on the site over the last four years. Although they vary in form and respond to different contexts and research agendas, all fifteen essays included in the collection share a common goal of bringing an engaged historical perspective to today’s migration debates. We hope that you will download, read, teach with, and share this open-access educational resource, which joins the Beyond the Lecture ebook and the Open Canadian History Seminar in Active History’s new Publications collection. This volume would not have been possible without the support of a network of contributors and allies across the country. It was prepared with Stephanie Bangarth, Sonya de Laat, Andrea Eidinger, Laura Madokoro, Jan Raska, Benjamin Hoy, Ryan McKenney, Benjamin Bryce, Michael Akladios, Sarah Carter, Edward Dunsworth, Laura Ishiguro, David Atkinson, Aitana Guia, Franca Iacovetta, and Karen Dubinsky. Marie-Laurence Rho provided editorial assistance, and Camille Robert designed the cover. Krista McCracken and eCampus Ontario provided inspiration and technical assistance. 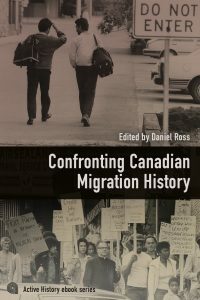 The essays in this collection speak to the broad range of research being done in Canadian migration history; they also highlight the commitment of their authors to a public-facing scholarly practice. Read together, they offer a much-needed historical perspective on contemporary discussions of immigration and refuge, questions that cut to the heart of who we are as a society. 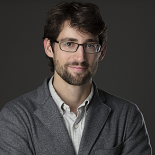 This entry was posted on April 15, 2019 by Daniel in Active History, activism, publications.